Episode 103! Michael and Lindsay Stewart discuss the Carolina Renaissance Festival, Cosplay, Trivia, the roles of heroes and more. 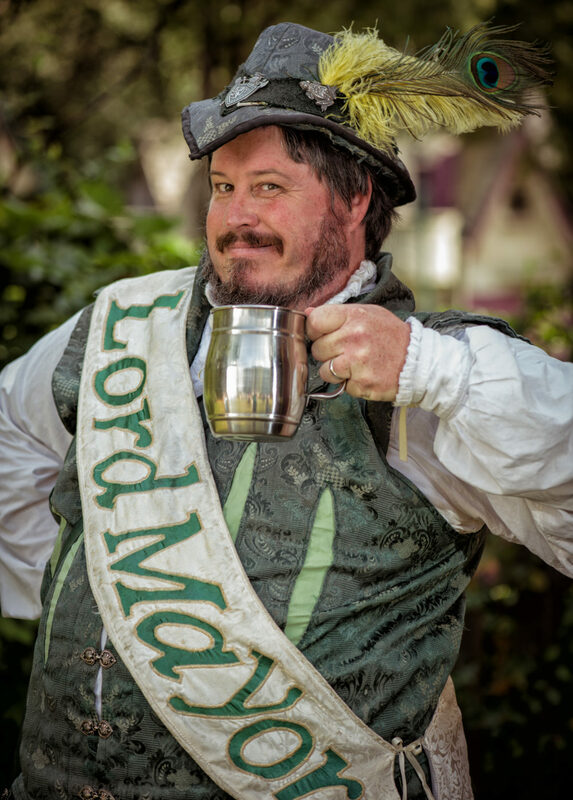 You may know them better as Lord Mayor Bullfrog and Gypsy Violet, 2 of the citizens of Fairhaven and part of The Carolina Renaissance Festival which opens Oct 1. The Renaissance Festival is a 16th century European style art and entertainment festival combining outdoor theater, circus entertainment, arts and crafts marketplace, a jousting tournament, a feast fit for royalty, and much much more. The 23rd annual season opens in the fall Saturdays and Sundays, from October 1st to November 20th, 2016. The Carolina Renaissance Festival was introduced in 1994 with six acres of exhibits, attractions and entertainment. The event has grown into a twenty-five acre theme park filled with charming cottages and castles, kitchens and pubs, and a most unusual collection of people powered rides and games of skill – all nestled in 325 acres of pristine woodlands just north of Charlotte, NC. The Carolina event has grown to be one of the largest of the Renaissance fairs nationwide. Tree lined lanes are filled with over 100 purveyors of crafts and food, and non-stop music and comedy shows are presented on 12 stages every event day. Each year the Carolina Renaissance Festival adds new entertainments and upgraded facilities for visitor enjoyment. New additions for 2016 include Hypnotist Rick Stratton, where hypnosis is real and members of the audience are taken on a journey they’ll never forget! Also new is the Giving Tree Interactive Drum Jams where children and adults alike will love picking up an instrument and joining in the creation of foot pounding rhythms! ← Episode 102: Renning it Up with Gypsies and Bullfrogs!